December 1, 2016 — Links International Journal of Socialist Renewal — We, the undersigned organisations, express our support to the struggle of the people of West Papua for self-determination. December 11, 2011 -- The strike started on September 15, 2011, and it involves nearly 12,000 workers. It was called after the negotiations between the union and the management went into deadlock. The striking workers want to be paid US$7.50 per hour (for grade F1) to $18 per hour (for grade A5) instead of the US$2.10 per hour to $3.50 per hour they are currently receiving. Their demands are for increases of 250% to 500%, but these wage demands are still much lower than the amounts workers are paid in other Freeport-McMoRan mines such as those in Colorado, Arizona and New Mexico. In negotiations the union has offered solutions, but these have been rejected by the management. The so-called ``Act of Free Choice'' was a sham referendum held in 1969 to decide whether Indonesia should govern West Papua. 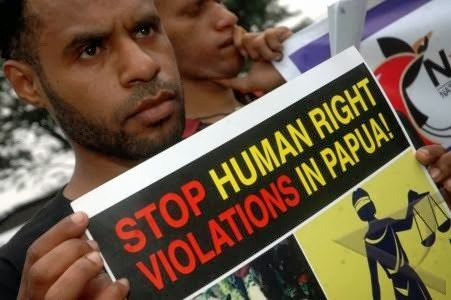 The small sample of indigenous West Papuans selected to vote were threatened with physical voilence if they voted against the Indonesian regime. Of course, they ``voted'' to remain part of Indonesia.